"New Scientist Live is a festival of ideas and discovery, taking place at ExCeL London. Rooted in the biggest, best and most provocative science, New Scientist Live will touch on all areas of human life. The show will feature four immersive zones covering Brain & Body, Technology, Earth and Cosmos. 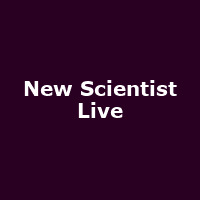 For four days this September, New Scientist Live will be like no other place on earth."